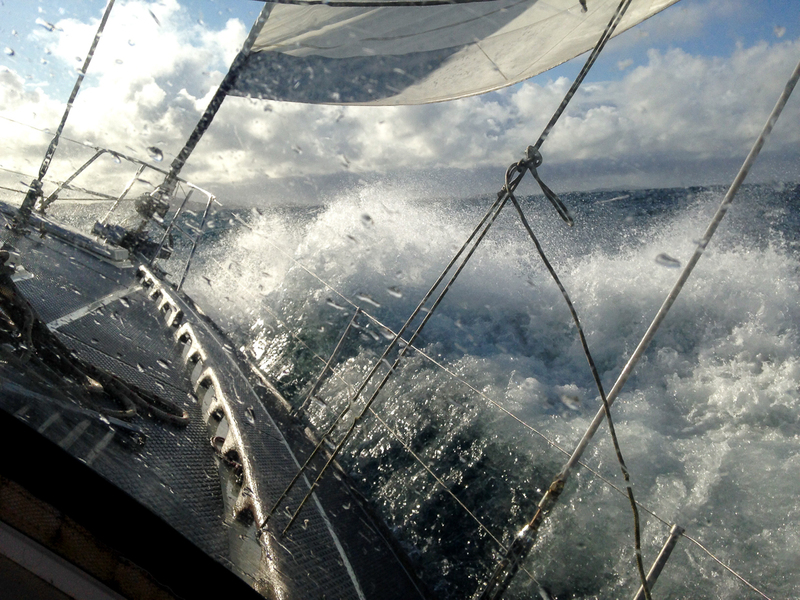 The creative arts is a wonderful way of exploring new places, and goes very well with sailing. 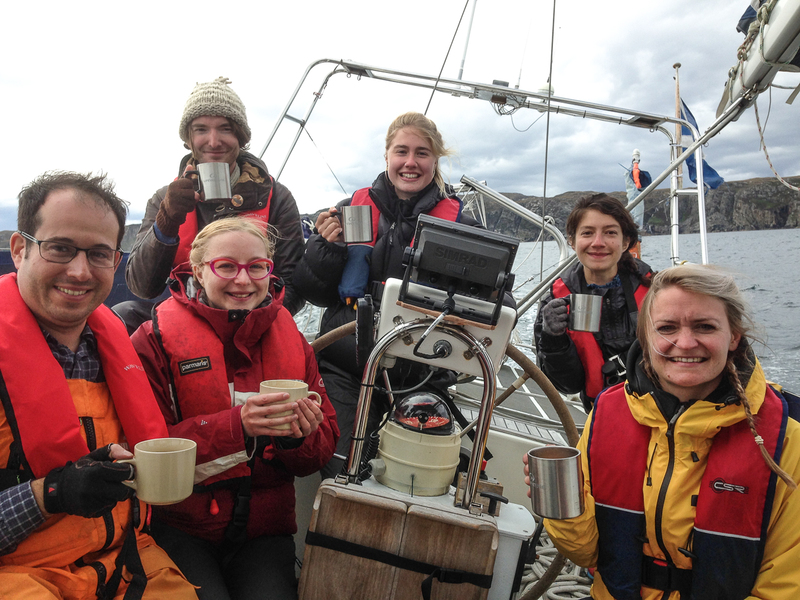 In August Sail Britain worked with the An Lanntair arts centre in Stornoway, to offer a residency for five artists to explore the cultural heritage of the Outer Hebrides. We called it Muir is Tir – Sea and Land in Gaelic. The culture here is so strongly connected with the sea that exploring under sail seemed the only way to go. 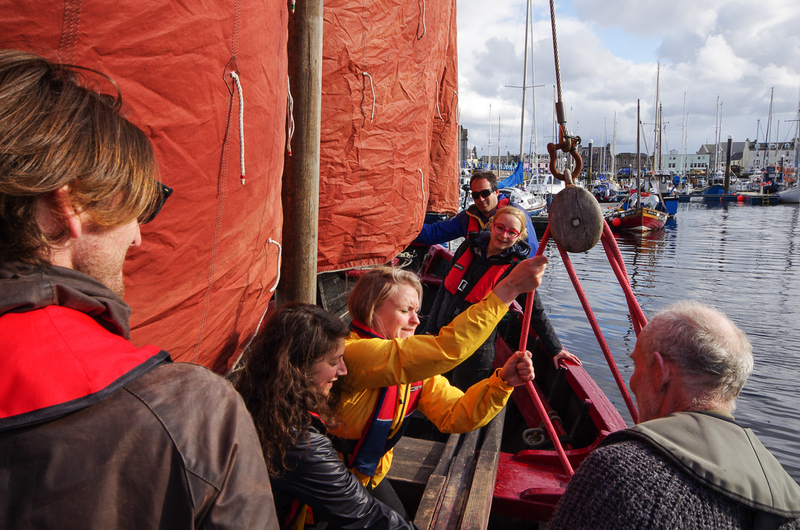 Before leaving Stornoway, we were very lucky to have the opportunity to sail a traditional Hebridean Sgoth, a lug sailed boat closely related to Viking ships. 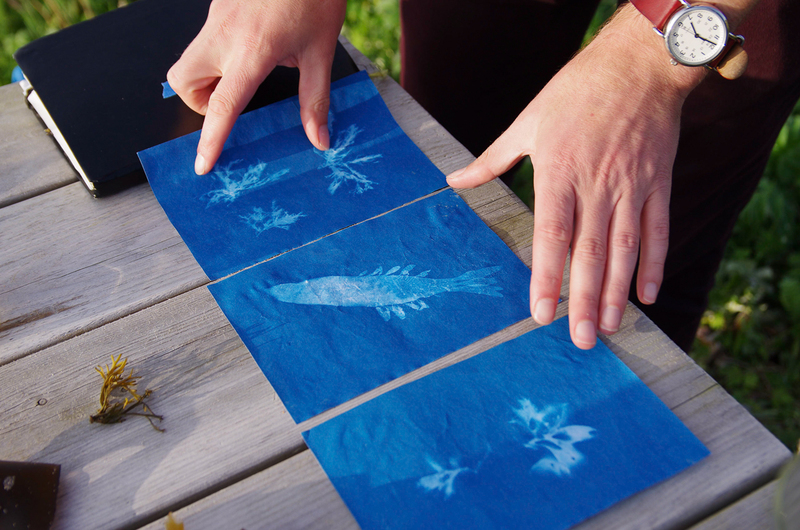 William Arnold, a fine art photographer and one of our participants, making sun prints of seaweed in the Outer Hebrides. Muir is Tir has been a wonderful programme and we hope to run it again in the years to come. The work from the residency will form a new exhibition at An Lanntair in Stornoway and in the Tent Gallery at the Edinburgh College of Art. Verity Standen, Composer, director and performer exploring the human voice. Kirsty Dixon, Light and installation artist. William Arnold, Visual artist, historian and fine art photographer. Mollie Goldstrom, Illustrator and printmaker with a passion for seaweed! Amy Leigh-Bird, Recent graduate from the Glasgow School of Art.